The Cossacks of Stanitsa Nikolskaya gathered on October 14th, 2017 at Saint Nicholas orthodox Church to celebrate the feast day of The Protection of Our Most Holy Lady the Theotokos and Ever-Virgin Mary. Divine liturgy began at 9:00 AM led by Rector of Saint Nicholas Orthodox Church Very Reverend Father Alexey Bocharnikov. 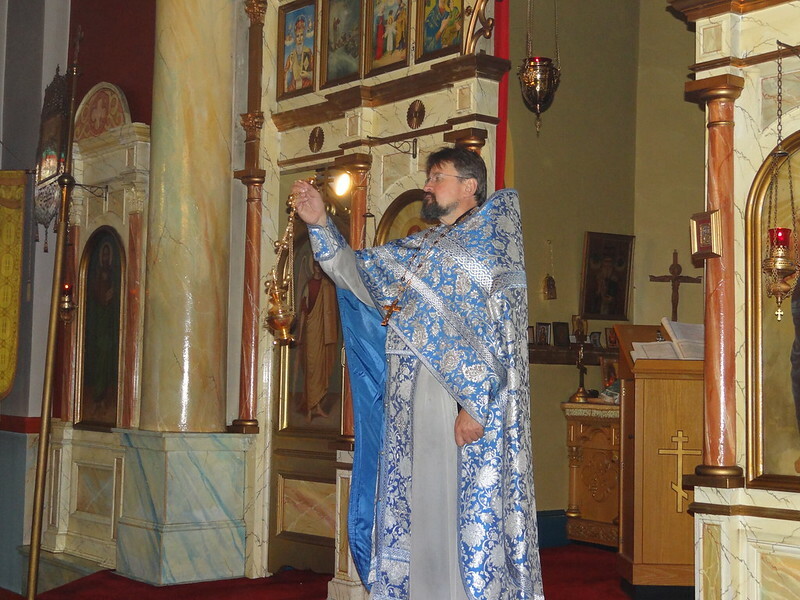 During sermon Father Alexey Bocharnikov reminded the faithful of the story how the Cossacks in 1641 defeated the Turkish armies at the Azov Fortress while being severely outnumber. Upon the conclusion of divine liturgy, a celebratory picnic was organized by the Cossacks of Stanitsa Nikolskaya and by the parish members of Saint Nicholas Orthodox church. The celebration continued with traditional Cossack songs and live music performance by the Cossacks of the Stanitsa.